MIAMI - A divided appeals court on Wednesday upheld the murder conviction of a former FBI agent in the 1982 slaying of a Florida gambling executive in a case connected to imprisoned New England mob boss James "Whitey" Bulger. The full 3rd District Court of Appeal's decision in the case of ex-agent John Connolly reversed that of a three-judge panel of the same court. 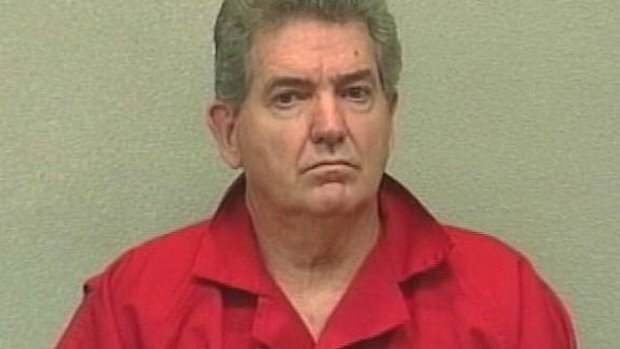 In a 6-4 ruling, the new decision concluded Connolly could be convicted of second-degree murder with a firearm even though he was 1,500 miles away when a hit man fatally shot World Jai-Alai President John Callahan in Fort Lauderdale in 1982. The judges agreed with prosecutors that the firearm enhancement was proper because Connolly, as an on-duty FBI agent at the time, was certainly armed when he tipped Bulger's gang that Callahan was about to implicate them in another killing. "The evidence as to both his participation in the murder and his possession of a firearm during his participation are overwhelming," Judge Leslie Rothenberg wrote on behalf of the majority. "The law does not require that the defendant be the actual shooter." Connolly was Bulger's FBI handler in Boston and was convicted in 2002 in federal court of racketeering for protecting members of his Winter Hill Gang from prosecution and tipping them about informants in their ranks. He completed a 10-year sentence in that case, then was convicted and sentenced to 40 years in prison for the Florida murder. The Florida jury that convicted him in 2008 specifically found that although Connolly's gun was not used in the slaying, the charge could be "reclassified" to include his own FBI firearm as part of the crime - overcoming a statute of limitations in place in 1982 that would otherwise have required Connolly's acquittal. The four dissenting judges accused the majority of an "overbroad" interpretation of the firearms law as it relates to felonies such as murder and predicted the decision would trigger confusion in cases across Florida. The dissenters said they will formally ask the Florida Supreme Court to weigh in on the question. "Up until today, (state law) has been interpreted throughout the state to require the defendant to have carried, displayed, used, threatened or attempted to use the weapon actually used or available for use in commission of the felony," wrote Judge Richard J. Suarez in the dissent. "The law is as clear as our duty to apply it. Connolly did not carry a firearm during the commission of the murder," Suarez added. Connolly's attorney did not immediately respond to an email seeking comment about possible further appeals. Bulger, the loose blueprint for the Martin Scorsese film "The Departed," was a fugitive for 16 years until his 2011 capture at an apartment in Santa Monica, California. Bulger is serving a life sentence for convictions in August 2013 of numerous crimes, including involvement in 11 murders.